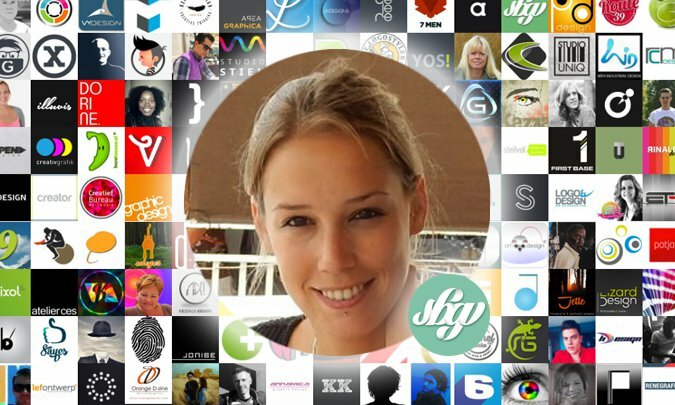 Sanne; on Crowdsite know as SBGV. As one of the first designers, SBGV is for over more than 5 years active on our site. It is time to learn more about the designer who has won 133 design contests and became a rating form 9 out of 10 from her clients. We pick up the phone and fire off the 9 following questions…. 1. What you wanted to become when you were a little girl? As a little girl, I wanted to go to art school and become a painter. Haha, finally, I actually went to art school but not to paint. 2. What education/courses have you followed? 3. What inspires you as a designer? 4. How did you get to know Crowdsite? During my studies a classmate tipped me. That has now been more than five years ago. 5. What do you do besides participating in contests on our website? Are you self-employed? I work as a (freelance) graphic designer and I do each month volunteering; crafts with children between the ages of +/- four to twelve years. 6. Which contests appeal to you most? Logo contests (wiht or without branding) appeal most to me as a logo is the ¨face¨ of the company and often decisive for the rest of the design/branding. 7. Do you have tips for other designers on our website? A tip for other designers: make a nice (3D) presentation so that the client has an idea of how your design will look like when it is printed on paper, cardboard, etc. This looks professional, nice and neat. 8. What hobbies do you have besides designing? As a hobby I do little projects. To mention a few things, I made lamps of large colored glass jars/vases with carbon filament light bulbs in it. I also made paintings with textured paint and jewelry with semiprecious stones. Very different. Usually such a project will take a several weeks to months and then I want to make something else. 9. The last question, what contest do you remember best and what was so special about it? The contest that has stuck me most was the contest of the anniversary logo of the Dutch Marine Corps (350th anniversary). I was invited for the Corps Concert after winning the contest. I saw trams branded with my designed logo, which was great fun to watch. Beside that, I saw the logo extensively on flags, banners and T-shirts during the World Port Days in Rotterdam.